History is a collaboration of our stories and experiences. Check out our collaborators in celebrating Montana Women’s History! UNIVERSITY OF MONTANA ARCHIVES AND SPECIAL COLLECTIONS has created several online exhibits including Women in Montana Politics, which includes a bibliography of available manuscript collections available on-site at the University of Montana library in Missoula, Montana. UM’s Archives and Special Collections has long championed the inclusion of women in narratives of Montana history. See the Online Exhibits page for more of their great work. 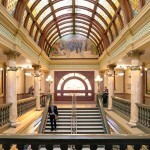 THE MONTANA WOMEN’S MURAL is the first new mural to grace the Montana State capitol building in over eighty years. Senate Bill 59, co-sponsored by former State Senator Lynda Moss and former Representative Diane Sands, calls for a celebration of Montana women. Supporters of the mural realize that “…with few exceptions, this story of Montana’s past is not represented in the capitol’s art, and a mural commemorating Montana women’s contribution to the history and government of the state would enrich and more accurately tell Montana’s story to its citizens and visitors alike.” To learn more, visit the mural page. FROM THE GROUND UP: MONTANA WOMEN AND AGRICULTURE ORAL HISTORY PROJECT is a Department of Natural Resources and Conservation (DNRC) project committed to preserving the legacy of Montana women in agriculture. The DNRC is working with teachers, students, youth organizations, and other volunteers to collect oral histories in their communities. The project’s goal are multifaceted: “Along with preserving important stories of Montana’s women in agriculture, From The Ground Up will offer young people a valuable perspective: history can be found in the day-to-day experiences of ordinary people living all around them.” Visit their webpage to learn more about the project! THE MONTANA STATE LIBRARY created the “Women in Montana” project to highlight the accomplishments and experiences of Montana women in commemoration of the 100th anniversary of women’s suffrage in Montana. 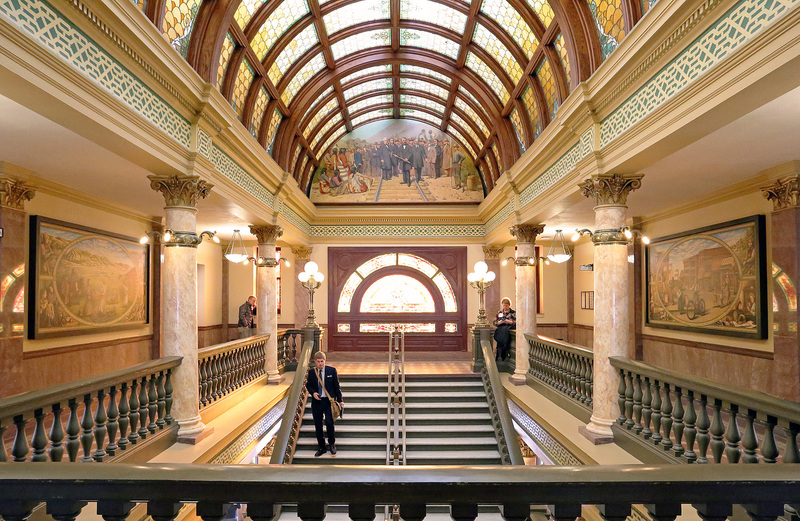 This selection of primary sources includes government documents such as materials created for the 1972 Constitutional Convention and items such as The Montana Equal Employment Opportunity and Affirmative Action Program. See the full list of available documents by clicking here. THE UNIVERSITY OF MONTANA SUFFRAGE CENTENNIAL COMMITTEE developed several lectures and local events to celebrate the centennial of women’s suffrage in Montana. Their contributions culminated in a 10 panel traveling exhibit called “Leading the Way: Montana Woman Suffrage and the Fight for Equal Citizenship.” The exhibit was developed with financial assistance from Humanities Montana, the American Association of University Women-Missoula, and the University of Montana’s African-American Studies Program, the University of Montana History Department, the Maureen and Mike Mansfield Library at the University of Montana, and the University of Montana’s Women’s, Gender, and Sexuality Studies Program. To learn more about the exhibit or to schedule it for your local library, please click here.